Σχεδιασμένο για ταξίδια τόσο επαγγελματικά όσο και διασκέδασης, το The Grand Bhagwati είναι ιδανικά τοποθετημένο στη Πόλη Ταλτετζ, μια από τις διασημότερες περιοχές της πόλης. Το ξενοδοχείο βρίσκεται 1KM από το κέντρο της πόλης και σας προσφέρει εύκολη πρόσβαση σε σημαντικά μέρη της. Με την βολική του τοποθεσία, το ξενοδοχείο προσφέρει εύκολη πρόσβαση στους προορισμούς της πόλης που πρέπει οπωσδήποτε να δείτε. Με τις υψηλού επιπέδου υπηρεσίες και την μεγάλη ποικιλία ανέσεων, το The Grand Bhagwati δεσμεύεται ότι η διαμονή σας θα είναι όσο πιο άνετη γίνεται. Τα 24ωρη υπηρεσία δωματίου, δωρεάν WiFi σε όλα τα δωμάτια, 24ωρη φύλαξη, ημερήσιος καθαρισμός, προσβάσιμο με αναπηρικό καροτσάκι είναι μόνο λίγες από τις εγκαταστάσεις που κάνουν το The Grand Bhagwati να ξεχωρίζει από τα άλλα ξενοδοχεία στην πόλη. 37 δωμάτια μοιρασμένα σε 7 ορόφους παρέχουν ένα ζεστό και ευχάριστο σπιτικό μακριά από το δικό σας. Σε επιλεγμένα δωμάτια θα βρείτε μοντέρνες ανέσεις όπως θυρίδα, πετσέτες, κρεμάστρα ρούχων, επίπεδη τηλεόραση, καθρέφτης. Εξάλλου, το ξενοδοχείο διοργανώνει πολλά ψυχαγωγικά δρώμενα έτσι ώστε να έχετε πολλά πράγματα να κάνετε κατά τη διαμονή σας. Έξοχες υπηρεσίες και μια εξαιρετική τοποθεσία κάνουν το The Grand Bhagwati την ιδανική βάση από όπου θα απολαύσετε την παραμονή σας στη Αχμενταμπάντ. 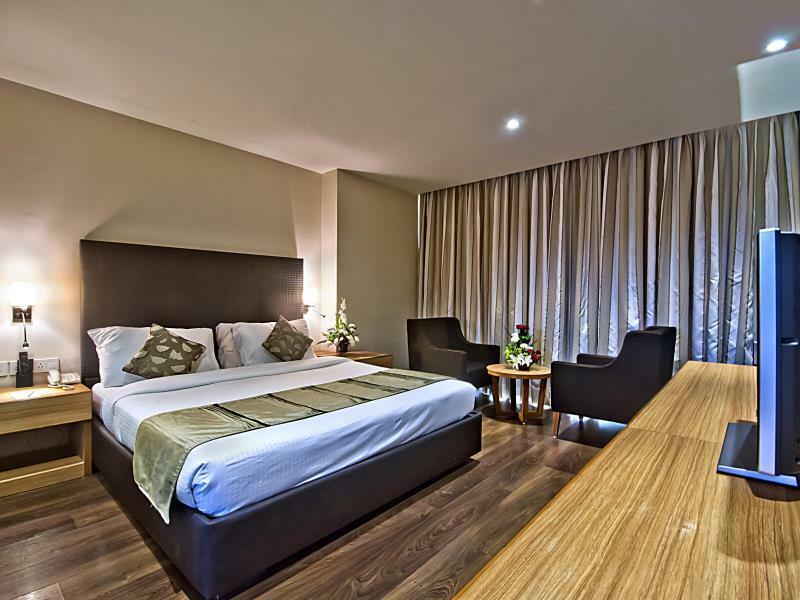 Its a nice place to stay in Ahmedabad. Their buffets are really nice and have a lot of options. 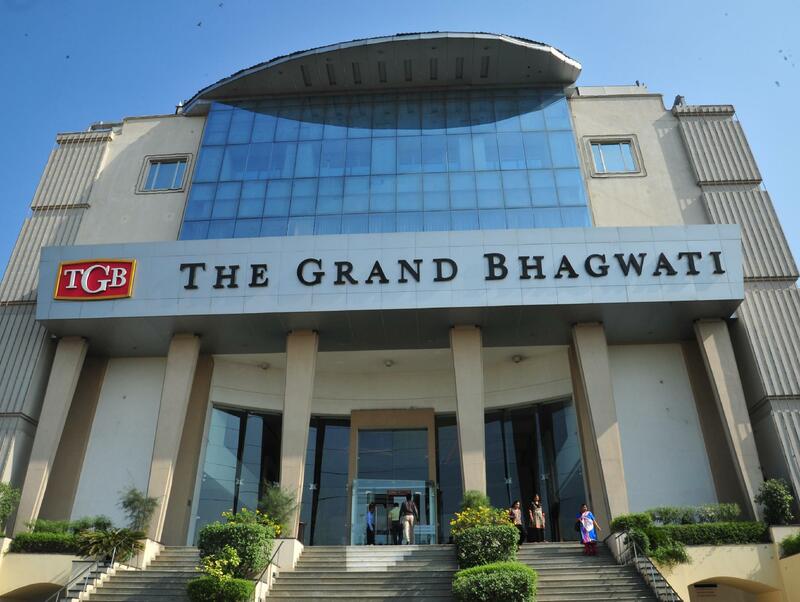 Dear Ms. Megha, Greetings from TGB Banquets & Hotels Ltd, Ahmedabad. It was indeed a great pleasure to receive your current review and were really delighted for giving us an opportunity to serve you at TGB Banquets & Hotels Ltd, Ahmedabad. We are glad to know that you enjoyed our services, breakfast and facilities at the hotel. We are in constant endeavor to improve upon the existent services and facilities by continuous upgradation with whole new environment to the next higher level of hospitality. Thanks once again and Our Whole Team wish to see you once again soon and would like to ensure for even better of services and courtesy’s. Dear Mr. Hari, Greetings from TGB Banquets & Hotels Ltd, Ahmedabad. It was indeed a great pleasure to receive your current review and were really delighted for giving us an opportunity to serve you at TGB Banquets & Hotels Ltd, Ahmedabad. I understand there were some matters of concern where we could not meet your expectation. Please do accept my heartily apologies for the inconveniences caused from my team to you & to your guest. Hope to see marked improvement when you visit us next. Thank you once again for taking time about your feedback during your recent visit through this portal. You being a valued guest would definitely like to see you again soon and I am sure you would experience the difference on your next visit. We are sincerely committed to improve and your suggestions were really valuable. Dear Romil, Greetings from TGB Banquets & Hotels Ltd, Ahmedabad. It was indeed a great pleasure to receive your current review and were really delighted for giving us an opportunity to serve you at TGB Banquets & Hotels Ltd, Ahmedabad. We are glad to know that you enjoyed our services, breakfast and facilities at the hotel. We are in constant endeavor to improve upon the existent services and facilities by continuous upgradation with whole new environment to the next higher level of hospitality. Thanks once again and Our Whole Team wish to see you once again soon and would like to ensure for even better of services and courtesy’s. Dear Amin, Greetings from TGB Banquets & Hotels Ltd, Ahmedabad. It was indeed a great pleasure to receive your current review and were really delighted for giving us an opportunity to serve you at TGB Banquets & Hotels Ltd, Ahmedabad. We are glad to know that you enjoyed our services, breakfast and facilities at the hotel. We are in constant endeavor to improve upon the existent services and facilities by continuous upgradation with whole new environment to the next higher level of hospitality. Thanks once again and Our Whole Team wish to see you once again soon and would like to ensure for even better of services and courtesy’s. Front Desk Staff was not up to the standard of a 4 star hotel. Other staff members were really polite and good. Room service was very good. Dear Mr. Jay, Greetings from TGB Banquets & Hotels Ltd, Ahmedabad. It was indeed a great pleasure to receive your current review and were really delighted for giving us an opportunity to serve you at TGB Banquets & Hotels Ltd, Ahmedabad. I understand there were some matters of concern, where in we couldn't match with your expectation. Please do accept my heartily apologies for the inconveniences caused from my team to you & to your guest from front desk staff. Hope to see marked improvement when you visit us next. We are also glad to know that you liked other services and facilities. Thank you once again for taking time about your feedback during your recent visit through this portal. You being a valued guest would definitely like to see you again soon and I am sure you would experience the difference on your next visit. We are sincerely committed to improve and your suggestions were really valuable. Dear Guest, Thank you for your valuable feed back. We are happy you had nice & comfortable stay at our hotel. We look forward to seeing you soon. I would be glad to share pictures as evidence but there is no such option here. The room was not clean. Bathroom was stinking & shower had green moss hardened on it. Pillow covers & bedsheets had black stains. The reception staff was truly not concerned or courteous to customers at all. Am surely not going to this hotel again. They should stop calling themselves 3 star hotel !! I was getting other good hotels for just a few bucks more but I decided to give this place a try. Turned out to be a bad decision. I checked out of this place in just about 3 hours and went and stayed at The Crowne plaza.